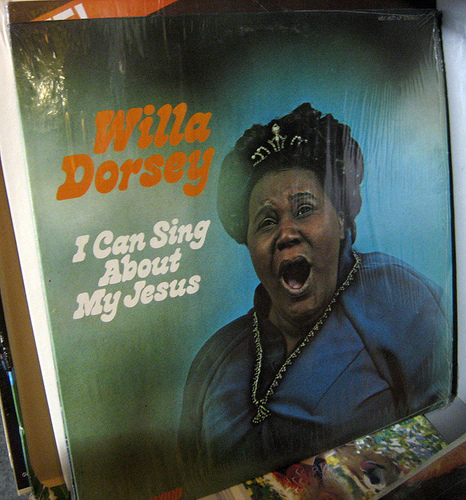 A beaming, capacious woman whose round form resonates a bulldog’s resolve, Dorsey has lived a life immersed in music. Church music: the sounds of gospel and spirituals and the South. She sang in her home church, Mount Olive Baptist, which was built by the sons and daughters of slaves. 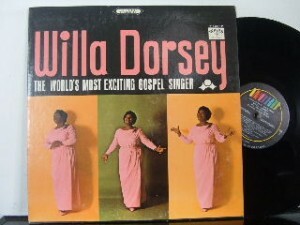 She sang with a group called the Atlanta Aires, which used to open for famous gospel groups that came through town. Soon, she was singing on the same bill with the likes of gospel legend Mahalia Jackson. Dorsey ‘s love for music has taken her far from her original home. It’s a slow, humorous, carefully enunciated voice that rises and falls like a window shade. After all these years, the rich red dirt of Georgia still clings to it like a peach to a pit. Between her travels, Dorsey is back in Portland once again, living quietly — almost invisibly, as far as public performances are concerned. But on a recent day she stopped in at the Cascade Music Center in the Hollywood district for an impromptu concert, moving happily from piano to piano while sales clerks and customers cheered her on. With a touch of boogie-woogie in her fingers and a round, rich vibrato in her voice, she brings a sweetness and expansive power to her songs: not the strained, gutsy power of the blues, but an open-throated, pure tone from deep in her belly. Eyes closed, lips rounded and fully extended, brow furrowed in concentration, she inflects her songs with a light jump: an arrythmia of surprise. A sharp crack will break the beginning of a phrase; a straight line will end with the sliding intimation of a moan. Like most specialized endeavors, the musical world is a small one that is crisscrossed with past encounters and coincidence. 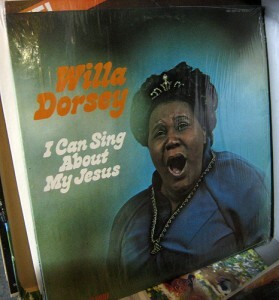 Her music is unmistakably Southern in origin. Yet her audiences are as responsive in the Soviet republics or Spain as in Dallas or her old home town. Why? And she gets up to try out another piano. I come here because of the great Evangelist Billy Graham who passed away today I remember watching him years ago and he said he liked the way this lady sing “ It is well with my soul truly a great gospel song ……RIP Mr.Graham.